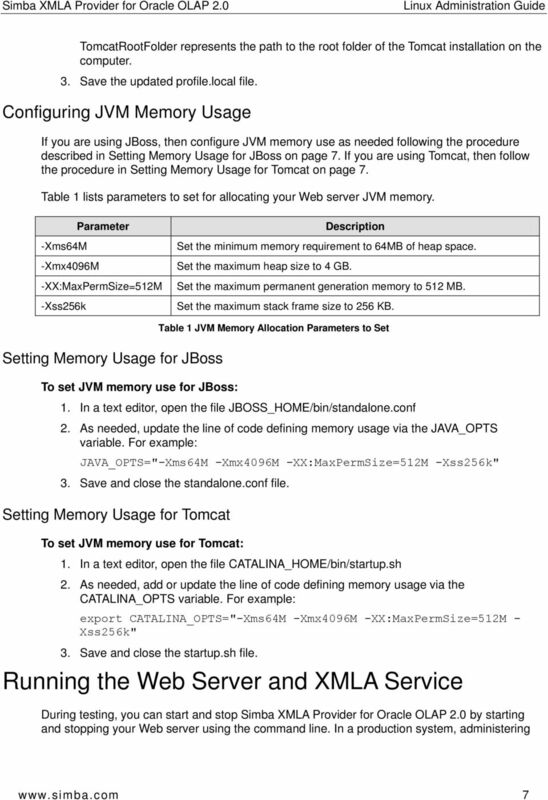 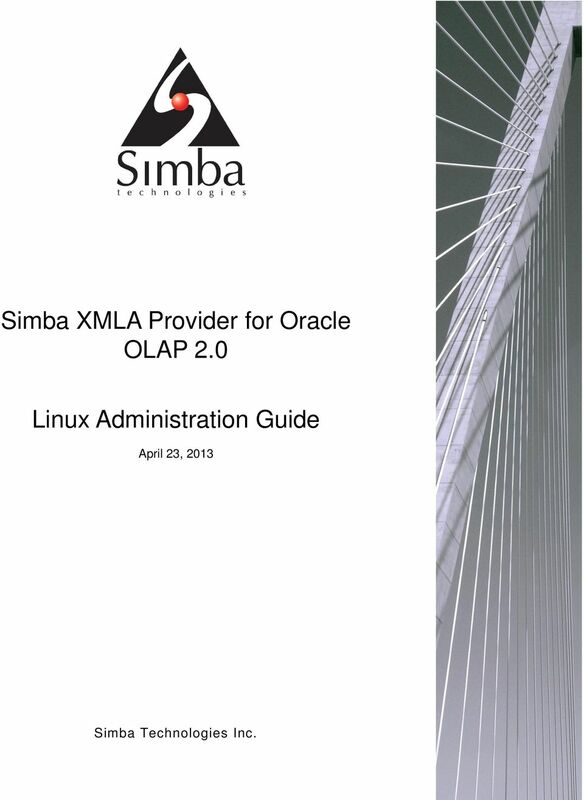 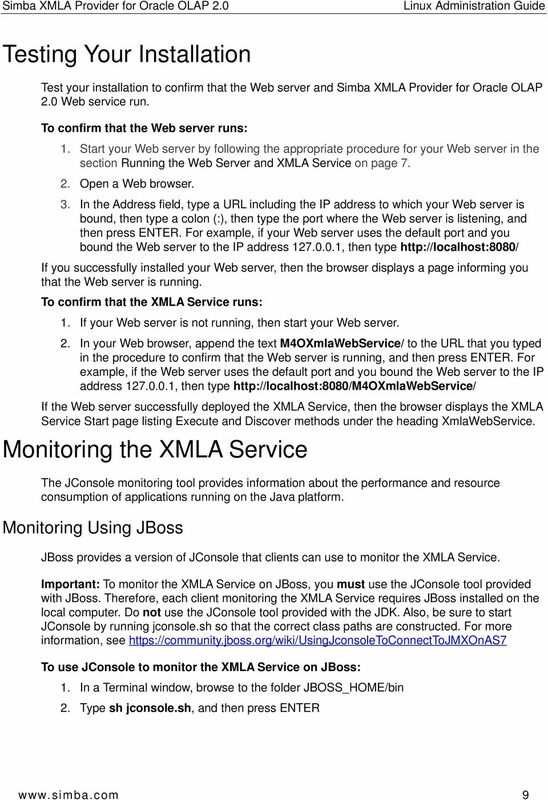 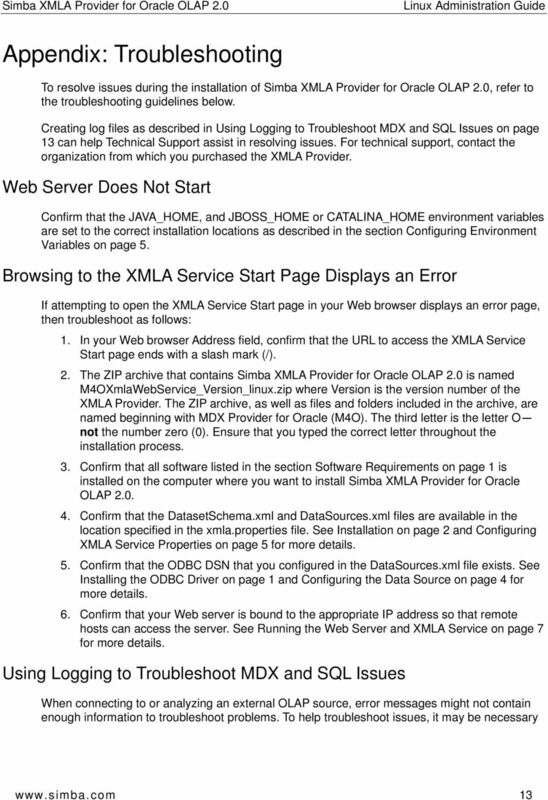 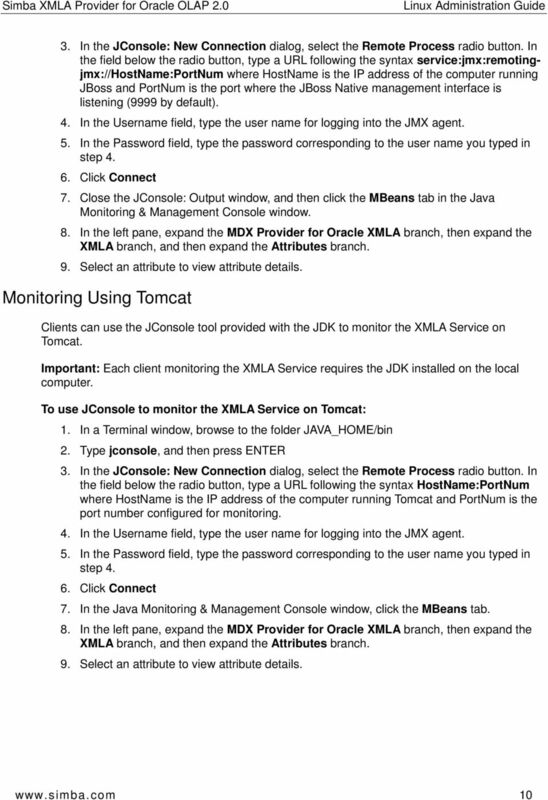 Download "Simba XMLA Provider for Oracle OLAP 2.0. 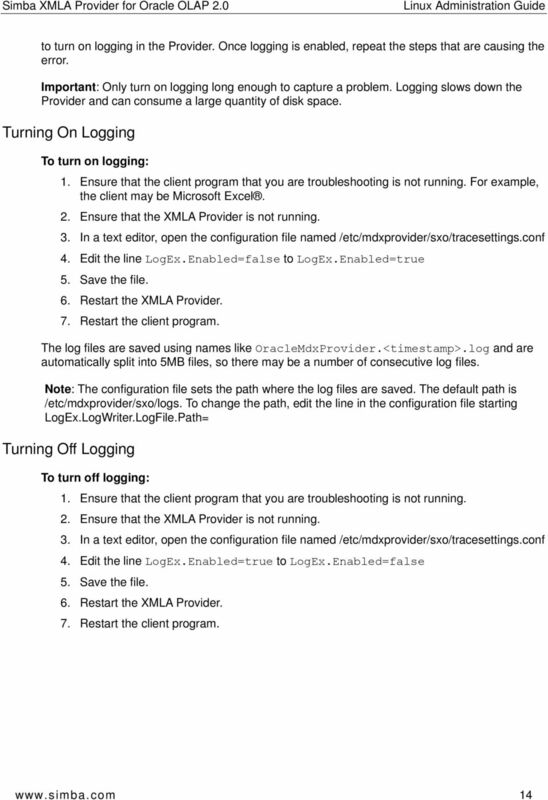 Linux Administration Guide. 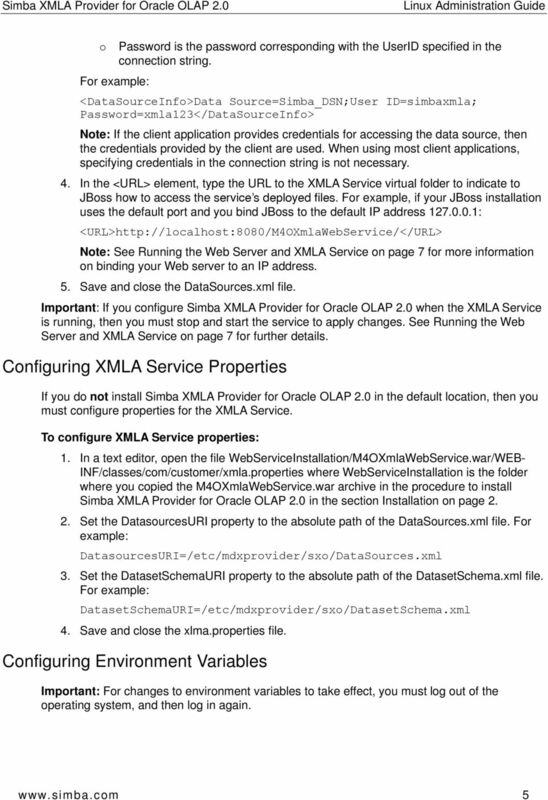 Simba Technologies Inc. April 23, 2013"
1 Simba XMLA Provider for Oracle OLAP 2.0 April 23, 2013 Simba Technologies Inc.
SimbaEngine SDK 9.4. 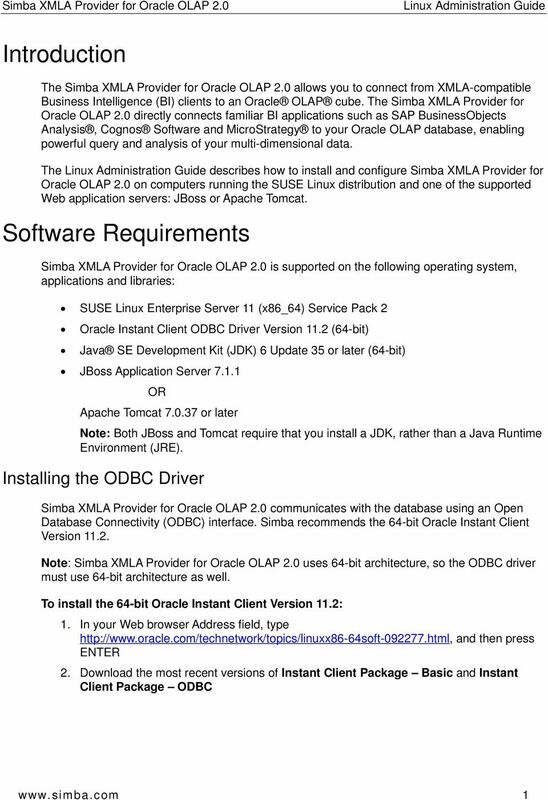 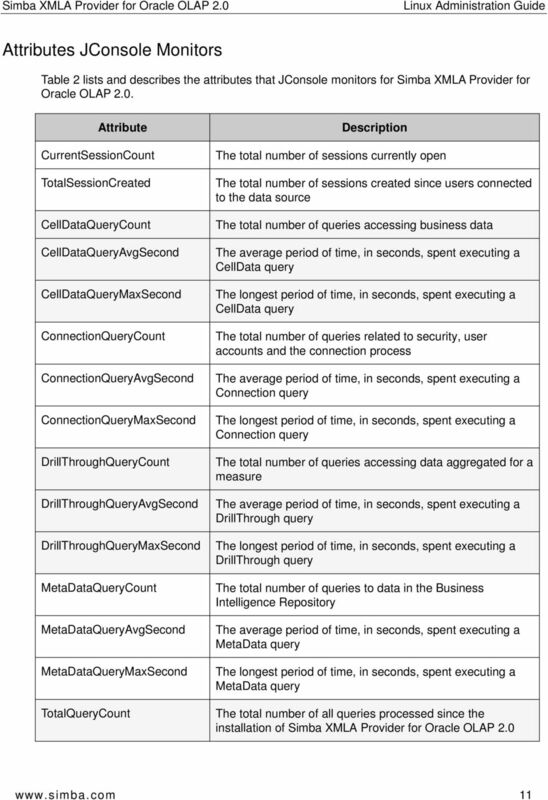 Build a C++ ODBC Driver for SQL-Based Data Sources in 5 Days. 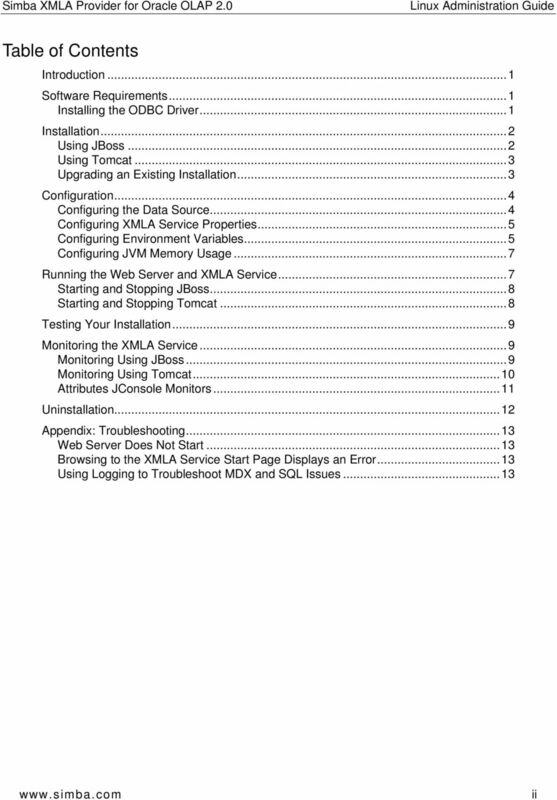 Last Revised: October 2014. 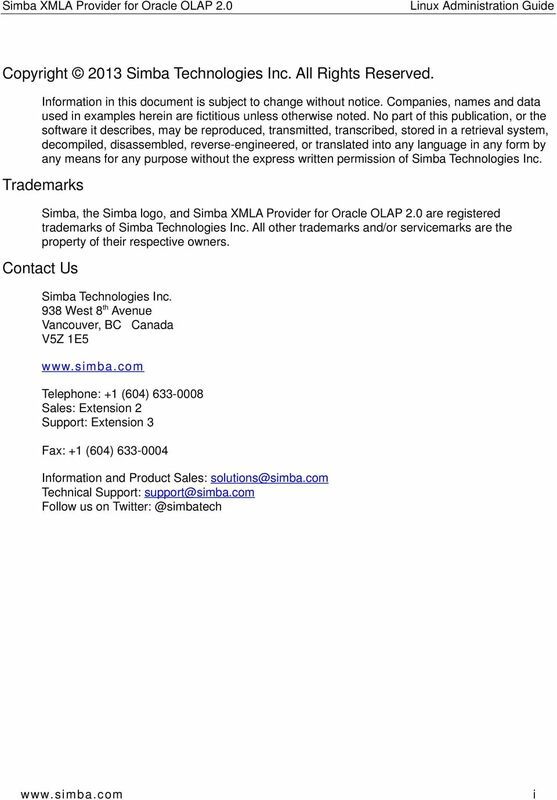 Simba Technologies Inc. 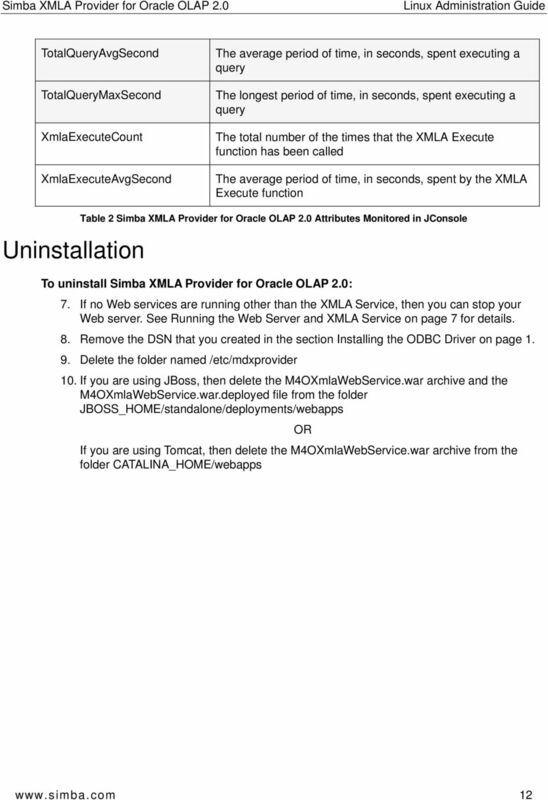 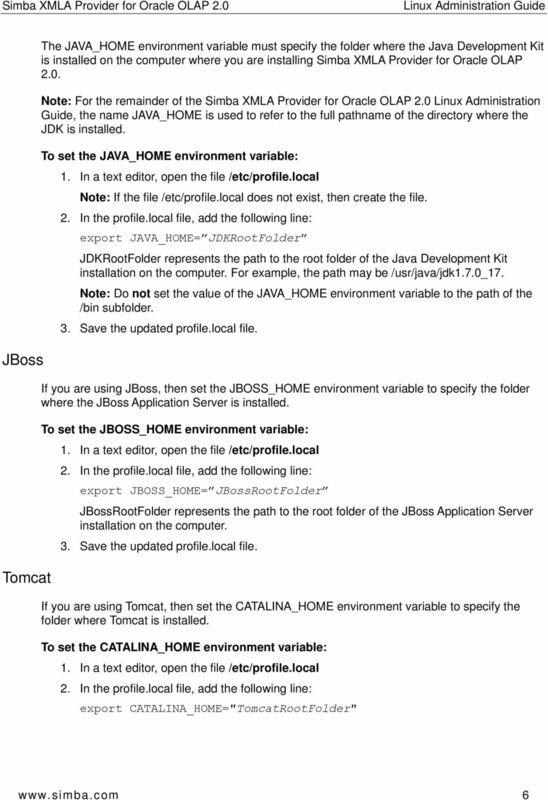 Installation and Configuration Guide Simba Technologies Inc.
Oracle Essbase Integration Services Release 9.3.3.0.00 Readme To view the most recent version of this Readme, see the 9.3.x documentation library on Oracle Technology Network (OTN) at http://www.oracle.com/technology/documentation/epm.html.